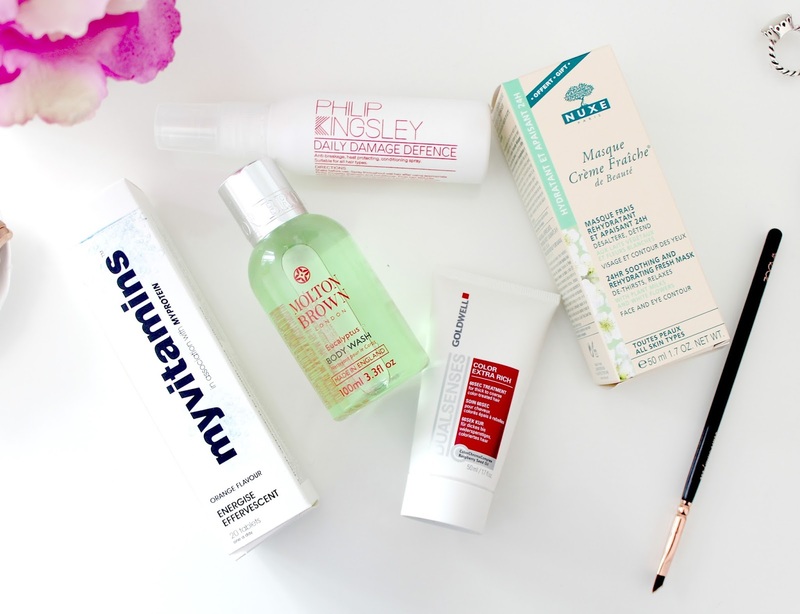 For me, beauty boxes can be very hit and miss. Some are great and some or quite frankly not worth the money and a total con! However, the good ones are usually really good and well worth the money. 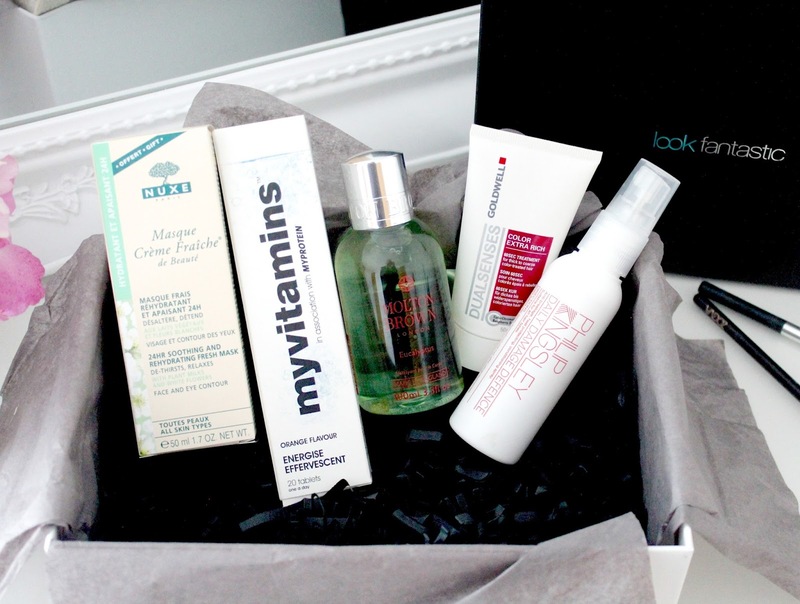 This is how I feel about the Look Fantastic beauty box* - its one of the good un's! When I heard Look Fantastic were releasing a beauty box, I have to say, I was pretty excited. They're without doubt one of my favourite beauty websites and often one of the first places I turn to when I want to stock up makeup, hair or skin care products! 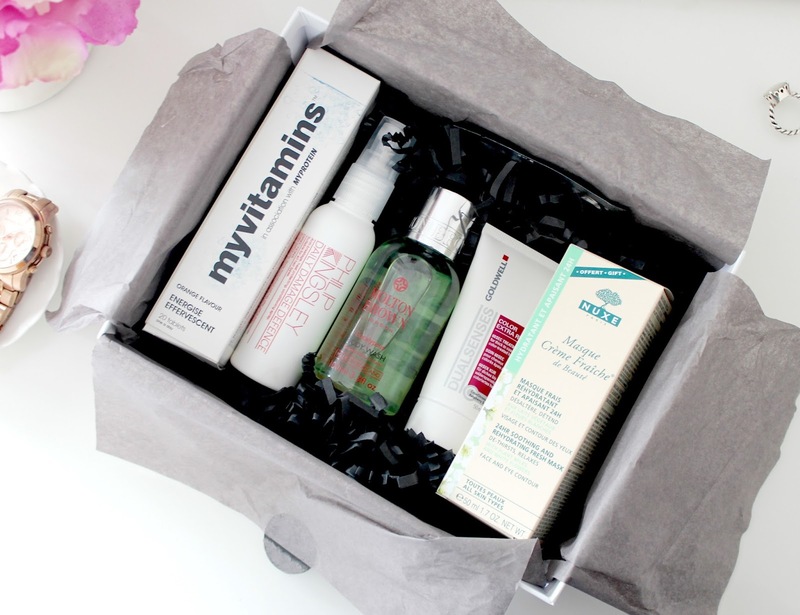 They stock a huge range of products / brands and they offer free delivery all year round so I had a feeling their beauty box would be full of decent products rather than silly sachets or things you could pick up for free from a beauty counter! I was excited to see these vitamins included in the box as I want 2015 to be the year when I really step up my health and fitness game. I like the fact they're dissolvable tablets that are added to water too as I'm not a big fan of taking tablets - yes, I'm a total wimp! Each tablet contains 1000mg of Vitamin C which maintains the normal functioning of the immune system, metabolism, psychological system and nervous system as well as reducing fatigue. I'm suffering with a cold at the moment so I'm going to start taking these in the hope they help! I actually bought this for myself in a Philip Kingsley cracker just before Christmas as it was exceptionally good value for money. Since then, I've been absolutely loving it. It smells amazing and protects my hair from heat so I'm very happy to have another one. Philip Kingsley is a premium hair brand and their products are well loved for a reason so I'm looking forward to using this, along with their Elasticizer on a regular basis. I've become a huge fan of Molton Brown in recent months - I currently have their divine Rhubarb and Rose hand wash and hand lotion sat in my bathroom and its just stunning. Its almost too nice to use! With this being said, I'm very pleased to have one of their body washes in my life. This one is in the scent Eucalyptus and it smells amazing! So this mask alone would cost £19.50 if you were to buy it from the LF site so if this is something you've been thinking of buying anyway, you'd be silly not to buy this box instead and get a whole host of products for less than the price of one. Now that's what I call good value for money. NUXE is a brand I haven't tried a great deal from but I love their Reve de Meil lip balm and I've heard great things about the brand in general. This mask claims to be an 'express treatment for enhanced moisture' which is perfect for this time of year when the cold weather can play havoc on our skin - I can't wait to give it a try! My hair has been abused in recent months after a few dodgy dye jobs have left me with a colour that I wasn't happy with. Obviously bleach isn't good for the hair so after a good few visits to the salon in an attempt to sort it out, my hair has been left weak, snapped and damaged. Not good! With this being said, hair masks and treatments are an important part of my hair care routine at the moment. This one from Goldwell, which is a brand I haven't heard of before, is a 60 second treatment that provides hair with 'visibly more colour brilliance and smooth, well-nourished hair' so I can pop it on in the shower, wait for a minute and then wash it off - very convenient indeed! I have to say, I'm very impressed with the contents of this box and although I was sent this for review purposes, I would 100% spend £15 of my own money on this box. I didn't know what would be inside when I was sent it and as soon as I opened it I said "oooh" as there's so many well known brands included as well as very generous size products. One thing I do want to point out is that LF do promise you'll receive a minimum of six products in each box and this month I only received five. However, after doing a bit of research, it seems everyone else also received a Gatineau Strategie Jeunesse Eye Pads Sample Pack so I'm not sure why I didn't get one? Hopefully when you order yours, all six products will be included. However, I have to say, even without the sixth product, I'm still more than happy with everything I received and think its great value for money. Look Fantastic are also adding a ghd Eclipse Styler worth £145 to 20 random boxes this month so now is the time to buy! This box is on sale now and is available to buy here for only £15.00 with free delivery. The contents are worth £65 so its a great one to snap up before it sells out. Do you think this is good value for money? I do find that Beauty boxes can be hit and miss..in saying that, this book looks lovely! Love your photos. So good for £15! I've always wanted to try the Nuxe mask, I'd better snap it up while it comes with all these goodies too! This is defiantly one of their higher end boxes I've seen, and I love that you get a bit of Molten Brown in it! These are great! Lovely post.. This looks really good, I love how you don't have to sign up for a monthly thing, that would be a big selling point to me.